I don’t wear a lot of makeup on a daily basis as I have sensitive skin and it often causes irritation or breakouts. However, I do wear makeup when I go out because I’m self-conscious about the acne scars on my face. Finding products that work to remove the makeup but don’t irritate my skin was next to impossible. After giving birth to Bella I suffered terrible hormonal acne on the lower part of my face that left a path of scars. I had tried nearly every product on the market to help my skin with no success. Feeling defeated I turned to making my own facial cleanser to see if going more natural would help. After a full week of using only these pads to wash my face, once in the morning and once at night, as well as to remove any makeup, I started to see a difference. In a few short weeks my hormonal acne had totally cleared up. It’s been two years now, and I’m happy to say the hormonal acne has not come back! They have been the only thing that worked to combat my hormonal acne and are now the main part of my skin care routine. cotton pads – I got mine at Loblaws they are Joe Fresh and they have organic, premium or regular cotton to choose from! 2. Measure out 3 tbsp of coconut oil into a large glass bowl, then add in your 1/2 tbsp of gentle wash and your distilled water. Mix together with a fork or a whisk. 4. 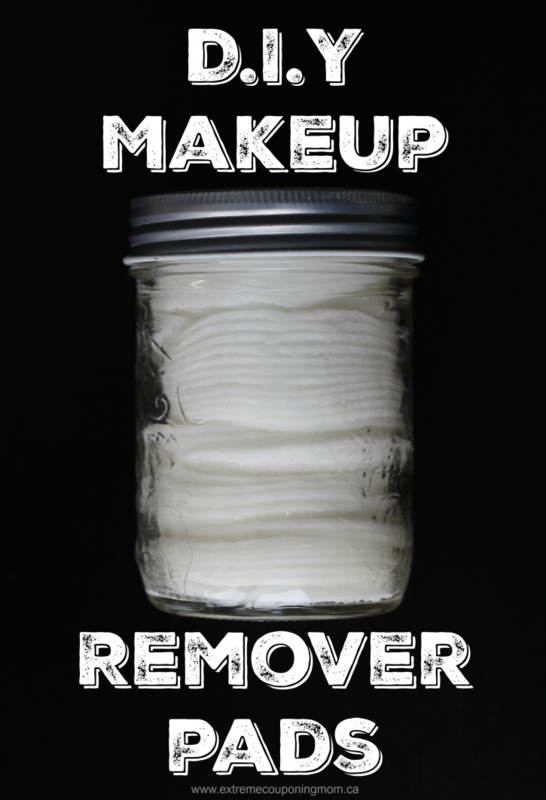 Place a handful of your cotton pads into the mason jar and pour some of your solution on top. Push down on the cotton pads to help them soak in the liquid. Continue to place more pads and pour solution over top pushing down each time until you fill your mason jar with cotton pads. You will have some solution left over, your pads should all be wet and when you push down liquid comes up BUT when resting there is not a jar full of liquid. 5. 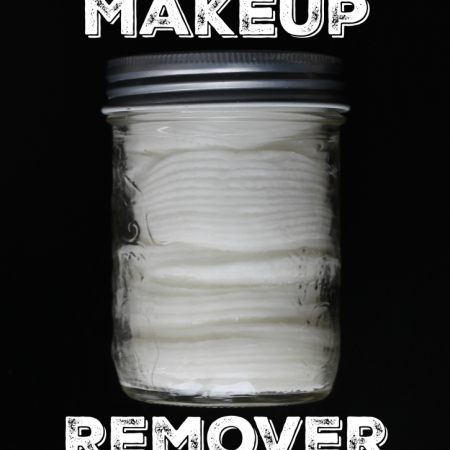 Use to remove makeup or as a facial cleansing wipe. If you use these to battle your acne please let me know how they work for you in the comment section below. Wow! Thanks for the great DIY recipe for facial cleansing. I like this. If you add a few drops of tea tree oil you’ll be adding even more antibacterial and anti microbial benefits! Love it. Thanks for sharing. It takes all my makeup off effortlessly. I like this thanks for sharing i’m so tired of spending money on products that don’t work for me !